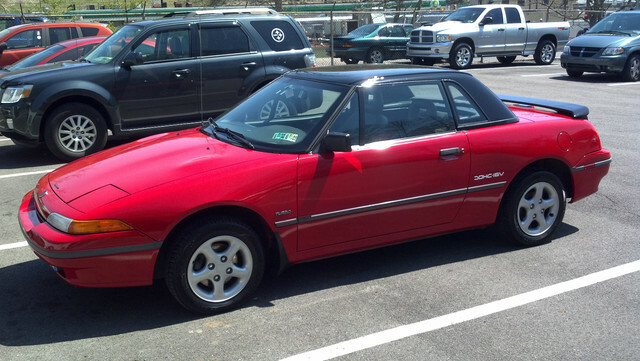 I have a 1992 XR2 that I am looking to sell. This capri has the grey leather interior, and is mostly stock. It does have a "rocket chip" installed, along with a manual boost controller that is set for 10 lbs. I purchased it used, with 113K mile on it in May 2007. Right now it has 182K on it and is in the garage for the winter. I do not drive it in the winter...and I have put less than 5K miles on it per year for the last 5-6 years. I replaced the clutch and rebuilt the turbo 10K miles ago. It has a black cloth top; and the 15" triad wheels. I had it repainted a few years ago with a base coat clear coat finish. The car is "chevy victory red". The rear spoiler is painted black. I am asking $1,500 for this Capri. If you would like more information, you can email me at the.taxman@comcast.net; or text/call me at 724-344-7550. I work 8am-4pm EST. I can text during that time; but can't always answer the phone. If you call during that time please leave me a message and a time when it is good for me to call you. Nice car David. What is the rust situation with your car. PA and all. Really nice looking. No rust on the car. I have never driven it in the winter. If you would like to talk or text, my number is in the first post. Give me a call. I work 8am-4pm. But if you want to talk during that time; please text me first. Russ Carlson and Matt, Rocketman, have seen my car over the years. Feel free to ask them. I modified the original post to sell just the car. I have bought a very nice XR2 and will be keeping the hard top. Price for my 1992 XR2 is now $1,500.